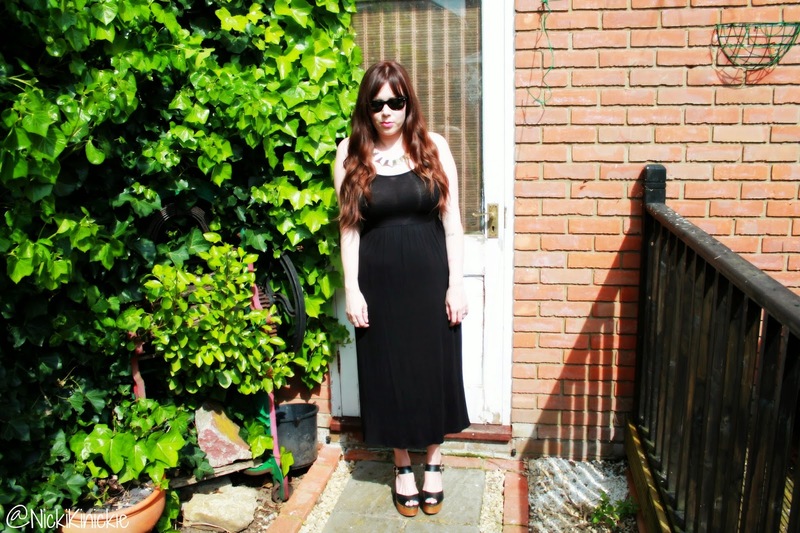 This BooHoo midi dress has fast become one of my 'go to' outfits. 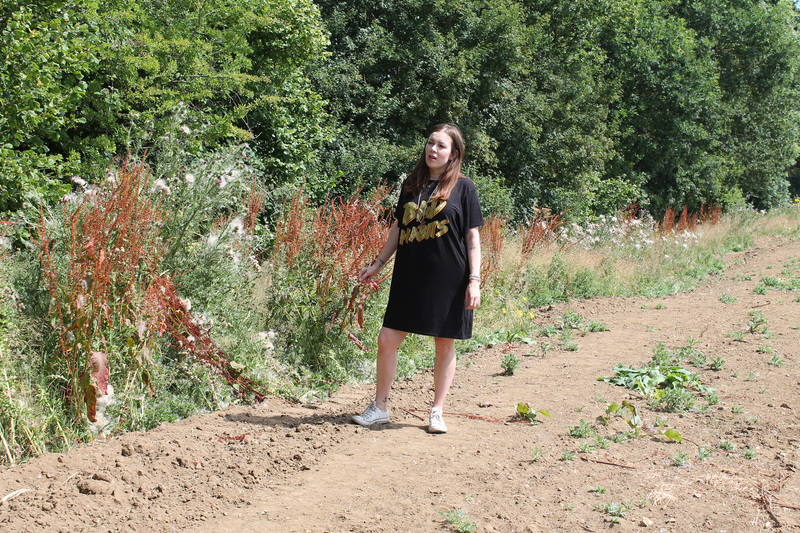 On cooler days I have worn statement or oversized t-shirts underneath to give it a completely different look. I chose black so it could be teamed with anything time after time. I love the length and that it goes with different types of shoe whether they be heeled or flat.This is the kind of dress that will never really go out of fashion. The shoes I have teamed it with are also my current wardrobe footwear fave. They are from River Island and are oh so comfortable to wear and surprisingly lightweight! Because they are a chunky heel I assumed they would be heavy but have been proved very wrong.